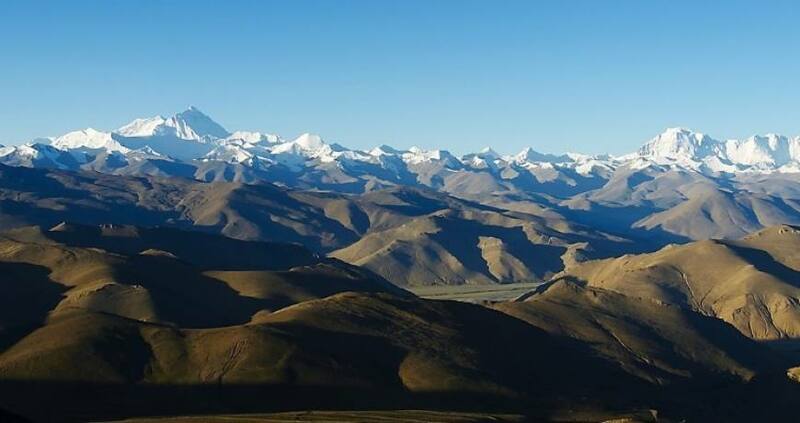 Tibet: For thousands of years, Tibet lay under the ancient Sea of Tethys. Eighty million years ago, India crashed into Asia, pushing up the Himalayas, lifting the ocean bottom above water, and creating this magical land. Mystical land, Shangrila, Forbidden Country: Tibet has many names and inspires an air of mystical dreams. 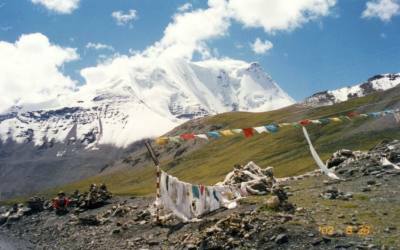 However, Tibet is real and a beautiful place to travel. It possesses a unique culture, firmly rooted in Tibetan religion, but with strong influence from the geography of the Himalayas, and the neighbouring civilisations of India and China. 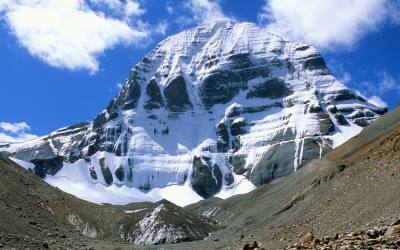 Geographically, Tibet can be divided into three major parts - north, south and east. The eastern part is forest region, occupying approximately one-fourth of the land. Virgin forests run the entire breadth and length of this part of Tibet. The northern part is open grassland, where nomads and yak and sheep dwell here. This part occupies approximately half of Tibet. The southern and central part is agricultural region, occupying about one-fourth of Tibet’s land area. 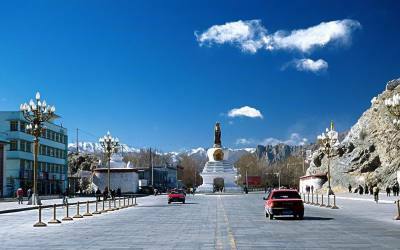 All major Tibetan cities and towns such as Lhasa, Shigatse, Gyantse and Tsetang are located in this area and is considered the cultural center of Tibet. Early morning scenic drive to KODARI (Nepal - Tibet border) through the beautiful Nepalese countryside and after necessary border formalities at Nepalese immigration, an hour adventurous uphill drive by truck (normally) or 2 hour walk uphill (in case of landslide) to Chinese immigration, check-in to hotel or continue drive to NYLAM. Overnight at hotel. Morning sightseeing to the PANCHEN LAMA’S TASHILHUPU MONASTERY. 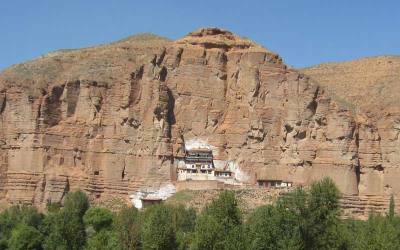 Drive through the biggest Agricultural field of Gyantse and visit to the Kumbum stupa & Palkor Monastery. 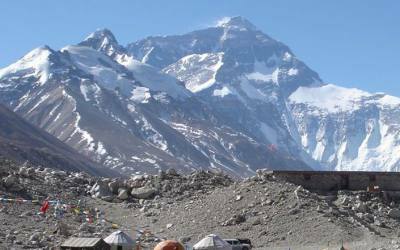 Two full days sight seeing around Lhasa including Jokhang Temple, Barkhor Bazaar, Potala palace, Deprung and Sera Monasteries. Early in the morning drive to Gongaar airport and take a trans Himalayan flight to Kathmandu.